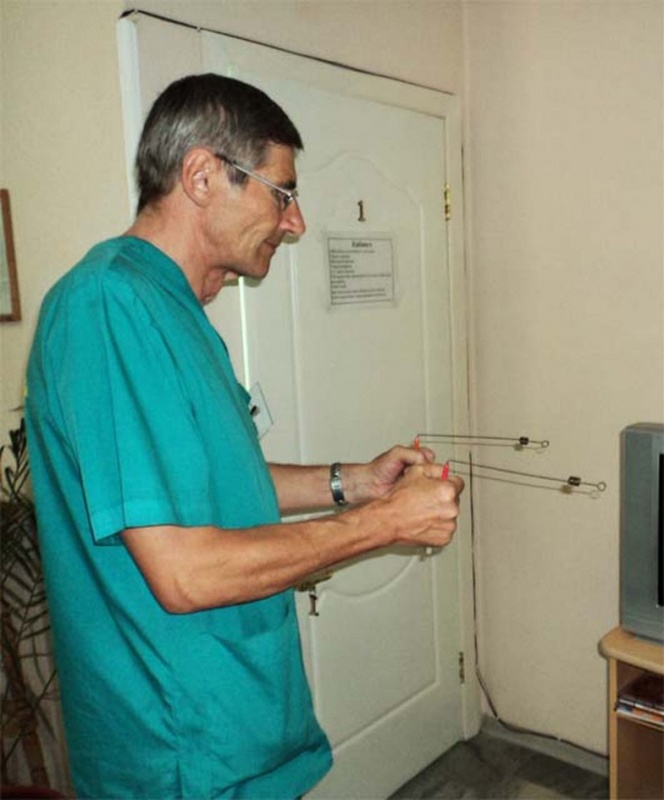 Dowsing, also known as dowsing, or dowsing, is known for a very long time. Scientific explanation of this phenomenon does not yet exist. However, the method of dowsing is used quite widely in Geology, medicine and search-and-rescue operations. Device framework applied in different areas, different. But there is one General rule. The frame is not made of ferromagnetic material. pencil or other round-shaped item. Start with the manufacture of frames to search for underground streams. For this purpose it is necessary to make 2 of the same frame. Pick up the material. You need a thin-walled tube and wire. Their diameters must be such that the wire frame fits inside the handle, but not too loose. Usually taken wire cross-section of 3-5 mm, but can be more. For handles cut 2 pieces of aluminum or copper (brass, bronze) thin-walled tube with a length of 4 cm greater than the height of your fist. Clamped in his fist tube should be slightly above and below. Make the actual frame. Cut 2 pieces of copper wire. Since the frame will need to bend the letter G, calculate the length provoloki. Horizontal section should be approximately equal to the length of your forearm, and the vertical height of the handle already made. Bend the wire and insert it into the handle. Similarly, make a second frame. Such a framework can be used to search for both water and treasures. When you hold the scope in two hands, so that their horizontal parts are parallel. Forearm held horizontally. Bent elbows should not touch the trunk. Upon detection of a search object, the ends of the part must rotate towards each other and crossed. Frame for medical purposes and search-and-rescue operations make otherwise. The handle is manufactured from a piece of plastic (textolite, ebonit, PTFE or acrylic plastic) in the form of a rod with a diameter of about 1 cm along the axis of the rod, drill a hole with a diameter slightly greater than the cross-section of the wire metal portion of the frame and a depth of 3 cm. Make the metal part of the frame. Take a piece of brass or bronze wire with a length of 15 cm. start from one end 3 inches and bend the wire at a 90° angle. Insert the short part into the hole of the handle and control, as rotating frame. If the rotation is not enough free, treat metal need pavoloka end with a file or emery paper thickness and the end. If necessary, shorten the area. The horizontal part of the metal frame bend in the form of a helical spring around the pencil, making 3-5 coils. That the windings do not touch each other, lightly stretch the spiral, which should be approximately in the middle of the frame. Begins and ends with a horizontal part approximately equal to the length of horizontal sections. This frame is used by holding it in one hand. The metal part pointing forward. Biolocation effect in this case is manifested in the form of rotation of the frame in the handle. Search and find water by means of a frame can be almost anyone. For frame usage in medical purposes and for search and rescue work requires special training. To control the horizontal position, sometimes the handle is attached the plumb Bob. People started biolokatsiya over 4000 years ago. Already at that time, they accurately determined the danger zone. 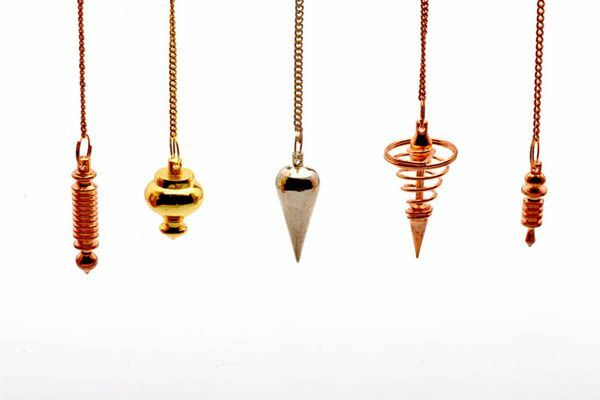 Now the pendulums used by adherents of alternative medicine, geologists, etc. Through this tool, people find buried treasure, underground streams and much more. With the help of the pendulum you can find out the truth if you told your interlocutor. In addition, he helps many people to detect the presence of a disease. You will be able to answer almost any question. Who can become the operator of biolocation? In principle, everyone. However, you will need to "shake" their abilities. A pendulum can be almost any object. For example, earring, ring, nut or anything else. The object hanging to the thread. Best of all, if it will have a length of about 30 cm. When you have experience in conducting bilocali, you can buy a pendulum specifically designed for these lessons. The questions of the Universe it is necessary to ask clearly. If the pendulum began to swing back and forth, then the answer is positive. As for the vibrations left-right, they give a negative answer. Movement round saying "don't know". With a pendulum it is best to work from five until six in the morning or from midnight to midnight. Another time to ask questions of the Universe should not be. About an hour before turning to the Universe you don't need to eat or drink beverages. After all, you will need a lot of energy. So you don't have to force the body to expend power digesting food. However, to drink a glass of cranberry juice does not interfere. Experts do not recommend dowsing after suffering stress. Otherwise, the pendulum can give wrong answers to questions.